Secrets were uncovered and prophecies fulfilled in the Sleepy Hollow Season 1 finale. We’ve got a list of the biggest shockers from the episode. Sleepy Hollow is one of those shows that, on paper, shouldn’t have become a hit. It’s based on a spooky short story designed to frighten kids on Halloween and has been remade countless times. This version features Ichabod Crane trapped in the current century, wearing his old clothes while using a cell phone. It’s got demons and monsters and a mythology so complicated it requires a map to follow. And yet, I was hooked on this show in the very first scene in the very first episode and my love for it has only grown from there. A lot of why I love it is based on the relationship between Ichabod and Abbie and the bond that they share. The Season 1 finale concentrated on that bond and tested it more than ever before. It also revealed some of the biggest shockers so far this season. Moloch’s prophecy was that Ichabod would sacrifice Abbie in order to save Katrina. It was something that no one would ever expect him to do after all that they’ve been through together, no matter how much he loved his wife. The prophecy did come true, but not in the way anyone expected. Knowing that there was no other way to stop War, Abbie sacrificed herself and took Katrina’s place in purgatory so that Katrina could leave. It wasn’t exactly a death sentence, but it was definitely a dangerous thing to do. Throughout the entire two-hour finale, the goal was to stop War from rising. What no one had considered was the fact that War was already in Sleepy Hollow. He had been working alongside Ichabod and Abbie all along and had been their staunch supporter through much of their battles with Moloch. But kindly old Henry Parish wasn’t just the Sin Eater who helped fight the forces of evil, he was also War himself, the second Horseman of the Apocalypse. Just as viewers were coming to terms with the fact that Henry was War, another shock was thrown into the mix. Henry Parish wasn’t just some random human who had taken on the cloak of War, he was Ichabod and Katrina’s orphaned son, Jeremy. The same child that had suffered abuse and created a Golem to protect himself and then had his heart stopped by a coven of witches so that he could be buried alive for 200 years. Jeremy/War wasn’t happy about all that befell him after being left an orphan. After being buried for 200 years, he was pulled from his grave by Moloch and offered a new life. He gladly took on the cloak of War and as a final blow to the parents who abandoned him, he took his revenge. First he gave his mother to Death (aka the first Horseman, aka the Headless Horseman), then he buried his father alive. At the end of the episode, nearly everyone was left either in mortal danger or possibly dying. 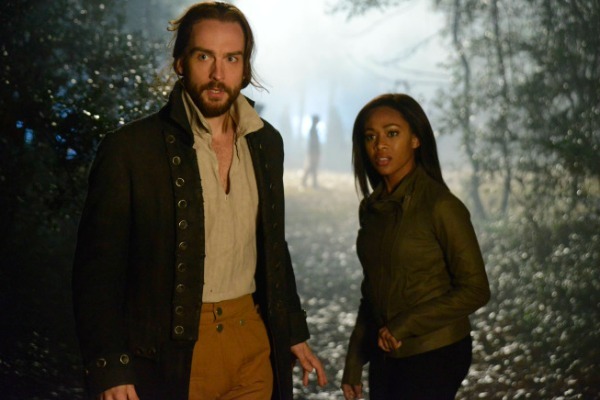 What do you think will happen when Sleepy Hollow returns for its second season in the fall?